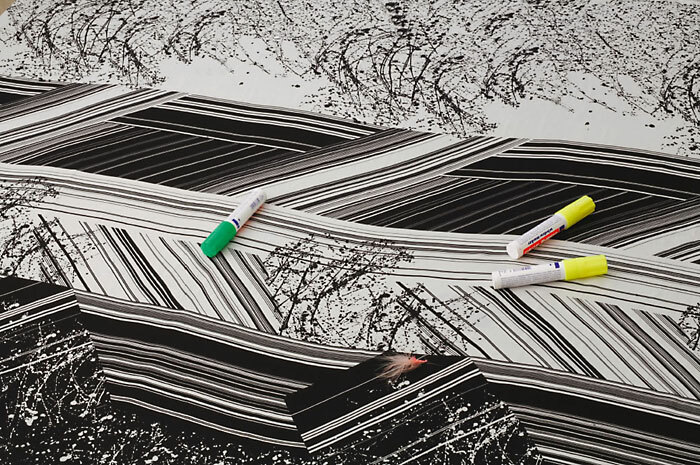 “xBGHy12z”, 2006 by Andreas Slominski. Styrofoam, styrodur, wood, leather. From the series “Items for possible videosets“, since 2009 by Stefan Panhans. 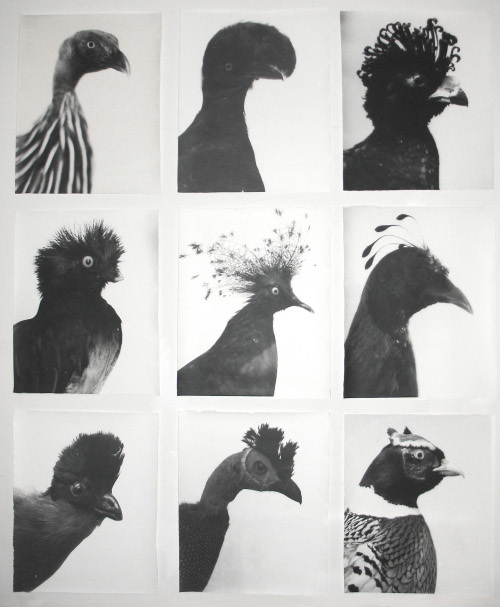 »Oiseaux – Vögel«, 1996/99 by Jochen Lempert. 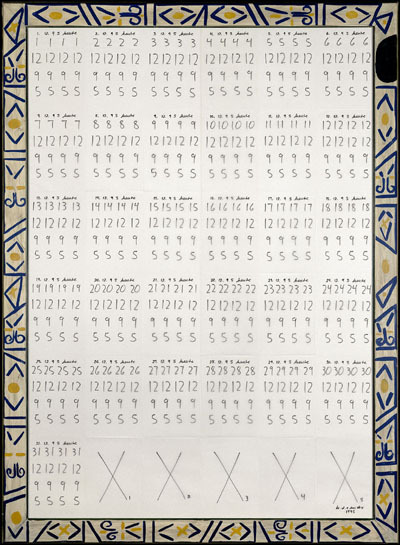 Detail from »Hommage à Picasso«, 1995-2006 by Hanne Darboven. In the portrait series »Freundefinden« by Marion Üdema, amateur partner-search photos from the internet were used as drafts for the large format pictures of the same staging with original models. The opening of Andrea Fraser’s retrospective on 9. 11. 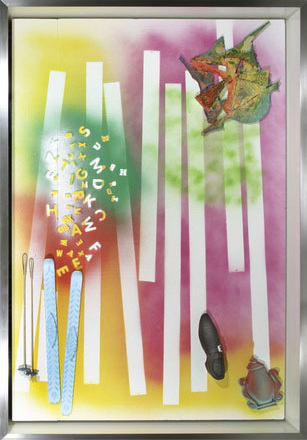 2003 at the Kunstverein in Hamburg. 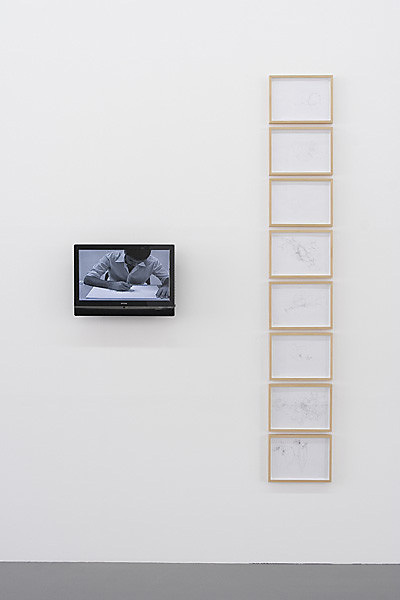 The video shows Fraser stripping while quoting from speeches given by critics, collectors, curators, politicians, and artists at openings, awards ceremonies, and other art events. She recites famous artists ranging from Mel Brooks and Thomas Hirschhorn to Shirin Neshat, Ross Bleckner, Francesco Clemente, Vanessa Beecroft, Damien Hirst, Chris Ofili, Tracey Emin, and Kara Walker. 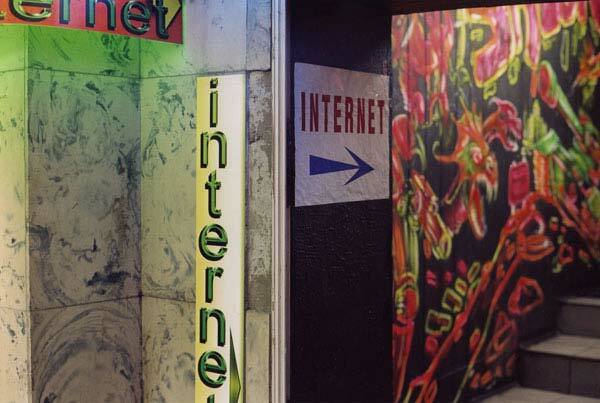 Picture form the series “Internet access” by Peter Piller. 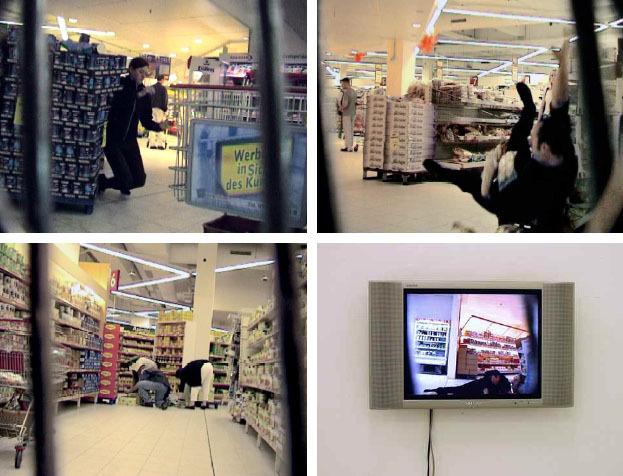 Proben A-K. Over a few week period of exploring the supermarkets, analysing their structure and positioning of products, Jochen Schmith staged falls on the so called hot spots. Those are often marked by the product towers and are also there to leade the streams of shoppers into the right direction. The reaction of the customers led to the creation of so called “chaoscommunities”, which were right away occupyed by trying to restore the order. 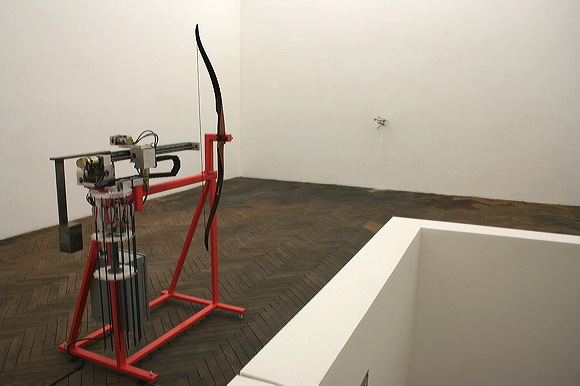 Self firing arrow machine by Olav Westphalen at Milliken Gallery. Krux and Parvenü by Bernhard Prinz.